Some 5000 men, women and children have travelled from Europe to Syria and Iraq since 2012. Less than a year after this process began, European intelligence services started to openly express their concerns about the dangers emanating from the potential return of seasoned fighters. Policy responses, however, were slow in coming and mostly ad hoc, even after the first successful attack by a returning foreign terrorist fighter in May 2014, against the Jewish Museum in Brussels. Subsequent attacks and plots involving returnees in the Walloon city of Verviers (January 2015), in the Amsterdam-Paris Thalys train (August 2015), in Paris (November 2015) and in Brussels (March 2016), proved the early warnings right. From 2015 onwards, “returnees” became the number one terrorist threat. A massive return of foreign fighters was feared at the time. Across Europe, the penal code was broadened to criminalize offenses related to traveling for terrorist purposes, in line with UNSC Resolution 2178 on Foreign Terrorist Fighters (FTFs). Authorities embarked upon more comprehensive and even novel programs, ranging from prevention to repression, to deal with the threat. But the worst didn’t happen. The flow of travelling fighters waned significantly. From 2016 onwards, with ISIS’s state project collapsing, mostly women and families with small children returned from the Levant, not seasoned fighters as was feared. Added to this, these groups came back in very small numbers only. As to those who came back earlier, between 2013-15, a number of them are now in prison. For European governments, several key challenges now lay ahead. How do we make sure that prisons will not breed a new generation of even more radicalised jihadis? How do we handle the case of children that are still in the Levant, and those who return? What can be done about the European fighters that remained in the region, some still fighting, others on the run, hiding, or in detention – either in YPG-held territory or in Iraqi camps and prisons? Finally, how do we make best use of the window of opportunity that is ahead of us, now that the fortunes of the so-called Islamic State have turned? A recent study by the Brussels-based Egmont Institute has assessed the evolving policies in the Netherlands, Germany and Belgium with regard to their returnees. Many parallel developments, but also some dissimilarities between the three countries appeared. Early returnees were not systematically prosecuted, let alone convicted. This was based on an evaluation of their intentions and the presumption that they posed a lesser threat, but also because the criminal code made it relatively difficult to prosecute these individuals. Women in particular were as a general rule not prosecuted. Individuals that still leave for a jihadi war zone are now subject of judicial investigation as soon as indications of their departure emerge. Returnees in turn are arrested and put on trial, although this appears to happen more systematically in the Netherlands and Belgium than in Germany. In contrast with previous practice, no distinction is made between men and women anymore in Belgium and the Netherlands, while the distinction is rapidly waning in Germany. The discussion on what constitutes the most adequate detention regime is ongoing in all three countries. Formally, different approaches exist between Belgium, which prefers a regime of dispersal among the general prison population, and the Netherlands, which has opted for a policy of placing suspects of terrorism-related crimes, as well as convicted terrorists, in a high-security detention centre. In practical terms, however, a number of inmates for terrorist offences in Belgium are being kept in solitary conditions, even within ordinary prisons, including for inmates with minor sentences, out of fear they could influence other inmates. Authorities are, however, aware that solitary confinement for inmates, in particular those with lesser sentences, risks producing the opposite effect and increasing their frustration and resentment. In Germany, with its decentralised prison system, there is not yet a defined regime for returnees — some jihadis are placed in maximum security blocks, whereas others are incarcerated in the general prison system. In prison, the authorities in all three countries favour tailor-made disengagement trajectories (from the violent behavioural aspect of their extremist ideology) rather than deradicalisation programmes (changing their thinking and ideology). This means that inmates are regularly approached by caretakers with a wide variety of expertise. The reality of this stated policy, however, varies between the three countries. The Netherlands clearly is ahead of Belgium, which only invested very recently in such programmes. The German Länder (states) developed several ideas for this approach, but no overall strategy has emerged so far. Overall, everyone is still learning by doing. Upon release, however, some striking differences appear between the three countries. In the Netherlands, former convicts are not left to their own devices. Tailor-made accompaniment is available to help their re-insertion process. Decisions are made by local authorities and the Dutch Probation Service. In comparison, Belgian post-detention arrangements remain rather tentative, but are now rapidly being professionalised. A major distinction exists between jihadis released under probation (disengagement programmes are often imposed as a probation condition) and those who refuse the probation regime and decide to stay in prison until the very end of their sentence (therefore refusing participation in disengagement or counselling programmes). In Germany, as in the Netherlands, re-integration efforts are supported by the regular probationary system, and decided upon on a case-by-case basis. As far as children are concerned, similarities and differences are perceptible between the three countries. All start from the same premise, that children are victims and not criminals. Tailor-made accompaniment is standard practice, whereby priority is given to the protection of the child. However, since six-year-olds will have been exposed to jihadi indoctrination and nine-years-old will have received military training, a security dimension is often present in those programmes, especially in the case of teenagers. As for now, however, only a very small number of these children are considered to represent a potential security threat. The Belgian government has taken the explicit decision that children under 10 years old should be repatriated, if feasible, and put under childcare provisions once back in their home country. Authorities will not (yet) actively participate in such repatriation, however. The inherent danger for the families to travel to the region in order to pick up their children represent thus a serious limitation to this principled stance. Children above 10 will be treated on a case-by-case basis. Germany seems to be leaning in the same direction, although it has not yet developed this stance into an official policy, whereas this is only now emerging as a political topic in the Netherlands. Regarding the FTFs still in the area, all three governments share a somewhat ambiguous position. It is probably fair to say that off the record all governments prefer their (adult) citizens not to come back, in particular the seasoned fighters. Dutch Prime Minister Mark Rutte once bluntly stated that he would rather see the FTFs killed in the conflict than to have them come back to the Netherlands. This remark provoked a lot of criticism, and he later argued that he made this point as the leader of the liberal party, not as head of government. In Belgium, Minister of Interior Jan Jambon expressed for the first time publicly, in early March 2018, the position that the return of FTFs is not in the “strategic interest of the country.” German government officials have restrained themselves from publicly commenting on this topic. None of these three, however, have gone as far as France and the UK, which ordered targeted executions of “their” terrorists abroad at a time when the fighting with ISIS was still raging. European policies are still somewhat in flux as to their citizens that are detained by local militias or governments. In Iraq, several hundred foreign nationals are said to be detained by Iraqi forces. Iraqi Members of Parliament have voiced their opposition to extradition since the captured fighters are suspected of crimes against Iraqis. Clearly, all governments are interested in extracting as much information as possible from their detained citizens, but none will undertake exhaustive efforts to rescue or repatriate them. This position is probably in line with public opinion. Finally, one last observation about the post-Caliphate era. The collapse of ISIS’s state project closes another chapter in the history of jihadism, but not jihadism itself. 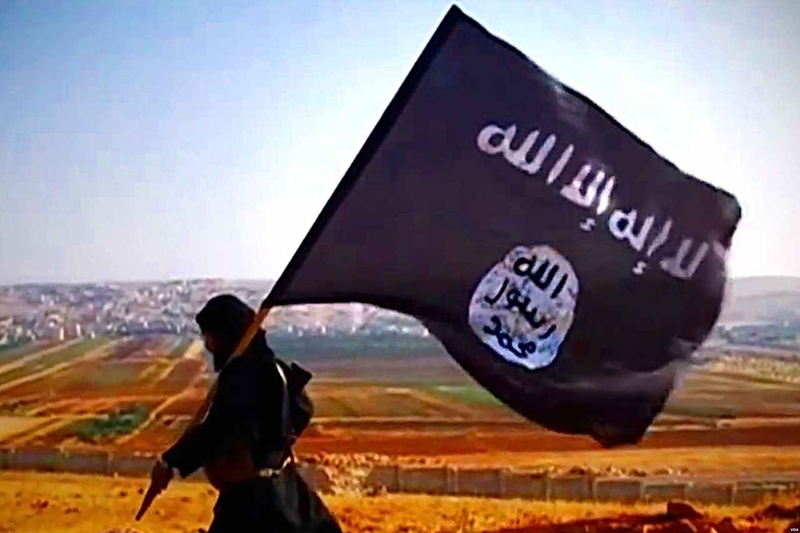 Many of the conducive environments, or push factors, that have permitted the continual re-invention of jihadism in the past decades and, more pertinently, that explain ISIS’s success in widely different locations around the world, are still very much in place. These factors vary from one continent to another, but in Europe social isolation, marginalisation, polarisation, and the stigmatisation of Islam contributed to creating a subculture that allowed ISIS to cast its net wide – wider even than al-Qaeda was able to do in the past. It is realistic to assume that, given the number of individuals having been involved in the ISIS wave of jihadism, plots will continue to be envisaged for some time to come. However, it is equally realistic to assume that the ISIS trademark will gradually fade in time as the group becomes history, and that the jihadi threat will lower as a result. This observation has several policy implications. While worst-case scenarios are popular when dealing with terrorism and radicalisation, they tend to overshadow the opportunities the current situation presents. Firstly, the threat of homegrown terrorism that has now superseded the returnee issue is extremely difficult to quantify. We have to be aware of this risk of exaggerating its significance and thus overblowing the overall terrorist threat. Secondly, preparations for social reintegration of radicalised prisoners need to be taken seriously and must start in prison. Inmates who are convicted of terrorist crimes will, in most cases, one day be set free. Yet, if the conducive environment has not changed, the danger for relapse into jihadi violence is real. Continued investment in tailor-made disengagement trajectories, starting in prison but pursued long afterwards, notably at the local level, is thus warranted. Thirdly, the same remark also applies to law enforcement and intelligence endeavours. They too need sustained investment since they constitute the last barrier to terrorist attacks. Lastly, the respite offered by the impending collapse of ISIS should be used to enhance efforts to address the conducive environment that allowed ISIS (and jihadism) to mobilise in the first place. As in the past, “counter-terrorism fatigue” is looming. It risks undercutting the development and adoption of policies in the field of prevention that are crucially needed in order to prevent new generations from falling under the spell of a fresh jihadi wave, if and when a new opportunity for jihadi mobilisation arises. Over the past few years, a lot of good initiatives have been developed. Now is the time to generalise all these good practices and to sustain them over the long term. If we stop our efforts abruptly and start divesting resources opportunistically to other issues, we will lose all the gains and we will have to start it all again when the next jihadi mobilisation begins.